MUMBAI: The highly competitive Joint Entrance Exam will no longer be the only route to the much-coveted campus of the Indian Institute of Technology. 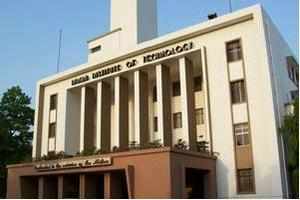 In a watershed decision, the board of IIT directors has decided to permit National Institute of Technology (NIT) students to complete their final year in an IIT. On January 7, the proposal will be placed before the meeting of the Standing Committee headed by HRD minister M M Pallam Raju. Once cleared, lateral entry into the IITs will alter the landscape of higher education and ensure that academic high-flyers get access to the best. The move will work at two levels: one, it will utilize the IIT resources optimally; two, the IITs will be able to attract better students and groom them for their PhD programme, thus boosting the count of doctoral fellows. The suggestion was made by the Anil Kakodkar committee in its April 2011 report titled 'Taking IITs to Excellence and Greater Relevance'. Kakodkar suggested that while intense efforts had been proposed to attract IIT grads into the PhD programme, it was also necessary to attract students from other top engineering schools. "The NITs, along with some of the better engineering education institutions, should become important feeders of quality graduates into post-graduate and research programmes, including at the IITs," the report said. The IIT directors who met in Roorkee recently felt that if India had to be among the three largest economies of the world, the IIT system would need to grow manifold in terms of research output and the number of PhDs it produced. "We also plan to change the time of our PhD admissions from February-March to August- September, the timetable followed by American universities, so that we can tap the brightest students," said IIT-Guwahati director Gautam Barua. The Kakodkar report recommends that the IITs should aim to take in 2,500 doctorate-seekers every year. The bigger idea is to scale up the count of PhD students from less than 1,000 per year now to 10,000 by 2020-'25. ** The total R&D funding of all the IITs put together in 2010 was about Rs 573 crore.